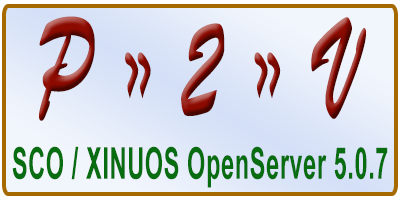 Xinuos (formerly SCO) OpenServer 5.0.7 can be virtualized or migrated to new hardware. However, there is a lot of attention to detail required to get things right. Preserves the OpenServer 5.0.7 license. OpenServer 5.0.7V or OpenServer 5 Definitive are not required. The resulting virtual machine can have as many CPUs and as much RAM as OpenServer 5.0.7 and VMware support (with proper licenses). While the virtualization document describes a procedure with specific reference to VMware virtual machines, in practice it can be applied to any physical hardware capable of supporting the OpenServer 5.0.7 operating system. The source server must have a fully licensed copy of OpenServer 5.0.7. This license will transfer to the destination server.